UPDATE: I understand some of you had trouble downloading the form, so I have uploaded file do my personal server and updated all of the links on this post. If you had trouble before, it should work now. Please let me know if this one doesn't work. If you are thinking about signing with Verizon Wireless, download this handy-dandy form and take it in with you to any Verizon retail center. 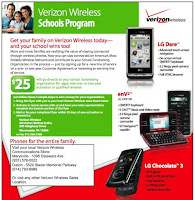 For every line you sign up for, the Fairbanks Music Department gets $25 from Verizon. If you are currently a Verizon customer, when you renew to a 1 or 2-year contract with our form, we get $25 from Verizon. If you add additional lines or move to a family plan, we get $25 per line. After you take the form to the store, you'll have to mail or fax it in, but honestly, that's all you have to do. Please spread the word to your family and friends who are either already Verizon customers, or are interested in switching to Verizon. This could make us a LOT of money with very little work and no sales, delivery, or money collection. You can click HERE to download the form, or click on the pic above. I also have hard copies printed and available in the band room if you need one. 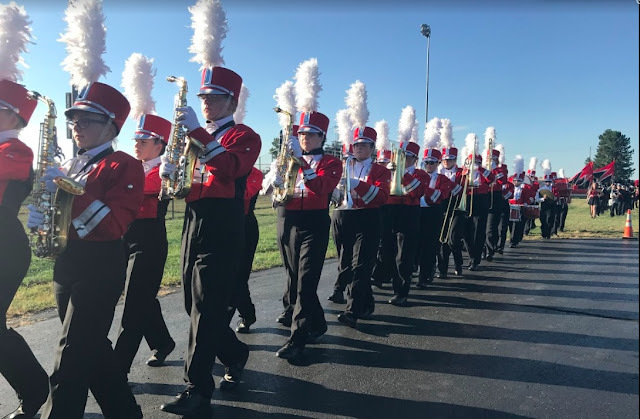 Be sure to bring a form to any Verizon store when you sign up for a new 1 or 2 year contract, or renew your service, and your purchase supports our fine Fairbanks musicians! did anyone ever call my manager about the night that he wants to use for fundraising for us? The Long family updated phones and service this last week...Sent in my form today! !